Little has taken place since the June 14 ECB meeting that requires a shift in the official stance. Rates and guidance were left unchanged. The deposit rate remains at minus 0.4%, and there is no intention to raise it until after next summer. The current 30 bln euro of monthly asset purchases will be halved in Q4 and conclude at the end of the year. While Draghi may be disappointed with the lack of structural reforms, the cyclical performance is not problematic. The economy has slowed since the 0.7% pace in Q2 17 through Q4 17, but the 0.4% in Q1 18 and possibly Q2 as well (will be reported on July 31) is still a bit above trend. Above-trend growth supports the idea that underlying inflation can be expected to firm. 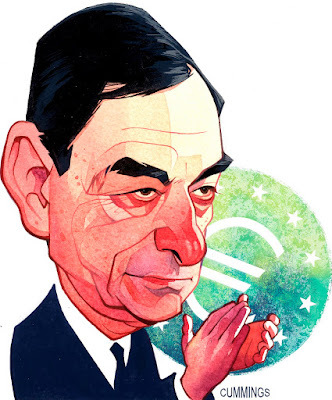 Draghi characterized growth as solid and broad-based. The risks of still regarded as balanced. Draghi cited trade, but not Brexit. The ECB monetary stance is understood to still be supportive. Draghi reiterated his call to rebuild fiscal buffers. Draghi recognized that growth had stabilized. The flash PMI reading and the anticipation of Q2 GDP support this idea. He noted too that the inflation outlook "receded," which seems to reflect the confidence of the outlook for prices and Inflation is expected to increase gradually over the medium-term. There has been in nominal wages is now rising due to negotiations, Draghi explained, rather than the drift. Draghi underscored that the English statement how the ECB communicates. The other translations are less important. That implies no hike until at least the September 2019 meeting. Lastly, Draghi played down the implications of Target 2 imbalances. He said the critics of Target 2 payment system are critics of monetary union.